On weekends my girlfriend and I (and sometimes others who join) have been attempting to set aside a block of time (ca. 3 hours) where we play around with some sort of coding project unrelated to our work/research. 1. Can I quickly/easily (relatively) build an iOS app? 2. Is there something fun I can do with the MTA lost and found xml data that I found last week? For  I wanted to build from start to finish – i.e. uploading a completed app to the app store. 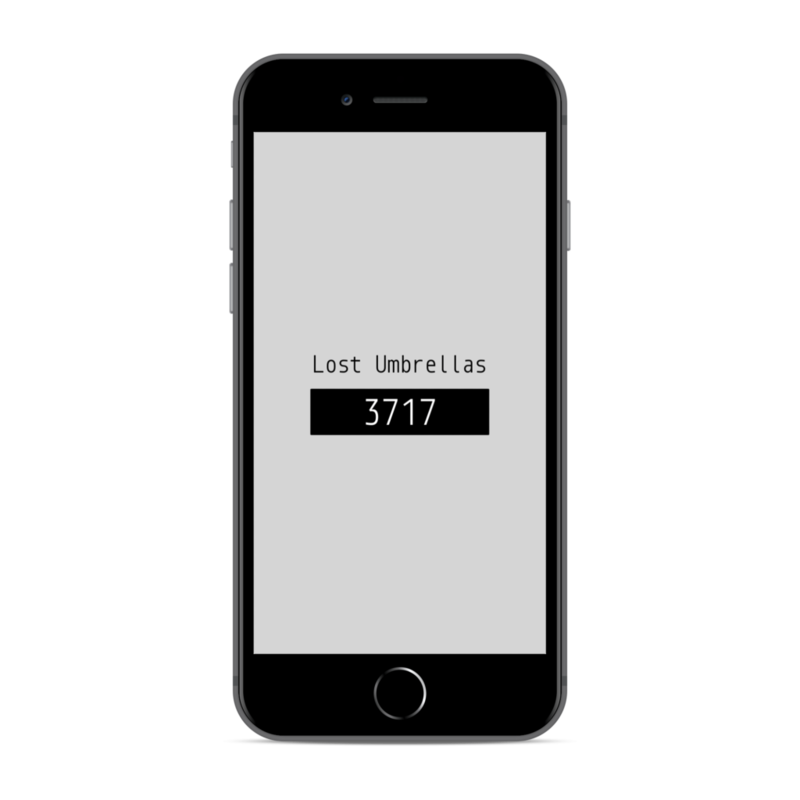 And for  I decided that I would like to specifically use the lost umbrella data to pull into the app and display. I managed to do both, though it is now almost 6am – the three hours stretched into more like 8 or so. Nice, here’s a website with a guide to making an app with no experience. First on the checklist, get XCode. Well, I already have it, so that was easy. Step 2, “Know Swift”. That’s literally what it said. Step 2: Know Swift. Here’s what looks like a pretty interesting course on Swift taught by a Stanford prof on YouTube. Wait, am I really going to learn Swift right now? Wow, it worked. That was surprising. Okay build works, it is on my phone and functioning! Read that if I use a https call that I have to provide an annual report to the US government???! Try to submit. Failed. Need a Support web page. Make a very minimal one. Submitted and waiting for approval…I’ll add a link when it goes live. UPDATE: Rejected from the app store. I was told there was not enough functionality.